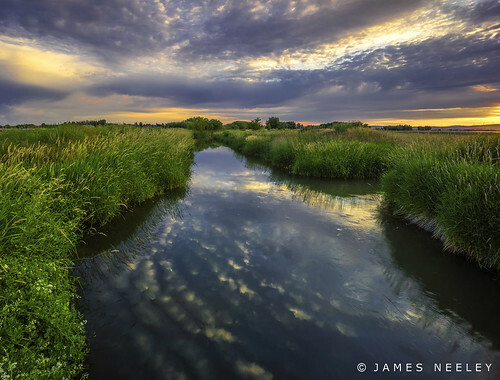 With The Flow, a photo by James Neeley on Flickr. I have been trying out the Sony Nex-7 camera for some time now. It is interesting that this is the same camera that Trey Radcliff (StuckinCustoms.com) recently reviewed and stated he was switching to, dumping is D800. My experience has been a bit different. While I love the small size and portability of the Nex-7 and the image quality is excellent, it is still not to the amazing quality of the D800. The main differences I notice are in the noise (Nex-7 at ISO 100 is about the same as the D800 at ISO 400) and dynamic range (the Nex-7 is 13.4 stops vs. the D800 at 14.4 stops). The dynamic range of the Sony is better that any of Canon's cameras including the 5D mark III but I have gotten used to the amazing 14.4 stops of the D800 and the new possibilities this opens up. Mill at Iona, a photo by James Neeley on Flickr. 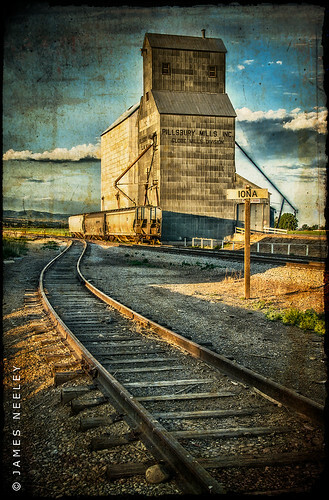 This is a textured view of the mill in Iona near Idaho Falls.